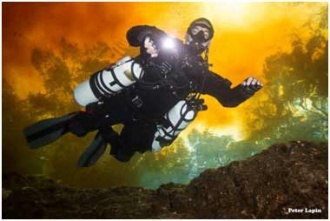 The certified diver looking to use a sidemount cylinder instead of the standard back mount unit. Minimum age 18, 15 with parental consent. Also, the SDI Sidemount Diver certification counts towards a single specialty rating to achieve the SDI Advanced Diver Development program.